1. 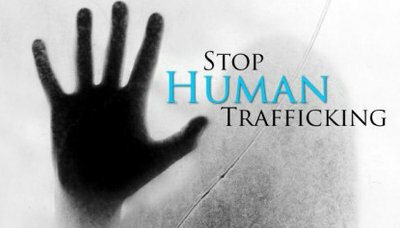 More than 90% of countries have legislation criminalizing human trafficking. 2. Human trafficking is often underpinned by sexual exploitation and forced labour. 3. 40% of the victims detected between 2010 and 2012 were trafficked for forced labour. 5. 49% of detected victims are adult women. 6. 72% per cent of convicted traffickers are men and 28% are women. 7. Between 2010 and 2012, victims with 152 different citizenships were identified in 124 countries. 8. Two thirds of child victims are girls. 9. Victims are often lied to about work conditions that they will be going into (type of job, the workplace and the salary). 10. At least 510 trafficking flows have been identified globally. 1. Is terrorism on the rise? Given that there is no consensus on the definition of terrorism (there are over 250 definitions of terrorism, according to a recent study) it means that governments have been able to broaden the definition at will to securitise a wider range of activities. There is, at the very least, a growth in the definitional scale and scope of terrorism. 2. Despite the millions of pounds that have been spent in the name of counter-terrorism measures, statistics suggest that we feel no safer. Research, conducted by YouGov, highlighted that more than three quarters of people surveyed – 79% – believe another attack on the scale of 7/7 in Britain is likely. This calls in to question the effectiveness and impact of the current UK counter-terrorism policy pathway. 3. Terrorist threats have evolved and diversified, which poses significant challenges for detection and disruption. There certainly appears to be an increase in the ‘lone wolf’ style of attack, which are often low tech and can be planned beneath the radar. Coordinated attacks require greater coordination and communication, which can leave perpetrators vulnerable to detection. 4. The new Counter-Terrorism and Security Act that came into force in recent weeks seeks to share the burden of surveillance by placing more responsibility on the health service, prisons, schools and universities. Frontline practitioners in the public sector will be required to identify individuals who may be vulnerable to radicalisation. 5. The new legislation is considered to be wide-ranging and intrusive by many and includes passport seizure and retention powers; exclusion orders; and further data retention measures. 6. The Vulnerability Assessment Framework includes indicators such as: changing their style of dress or personal appearance to accord with the group, having technical expertise that can be deployed (e.g. IT skills – we may have to rethink employability skills! ), a desire for excitement and adventure, a need for identity, meaning and belonging. Every school and university student is likely to fall under suspicion! 7. Liberty argue that the Counter-Terrorism and Security Act 2015 ‘plays into the hands of terrorists, by allowing them to shape our laws in a way that undermines our principles’. 8. According to the Global Terrorism Index 2014 the top 10 countries most effected by terrorism were Iraq, Afghanistan, Pakistan, Nigeria, Syria, India, Somalia, Yemen, Philippines and Thailand. The UK thankfully doesn’t even make it into the top 20. 9. In November 2014 the Prime Minister announced £130 million in additional counter terrorism funding. 10. We need to consider if our current counter terrorism measures are proportionate to the actual threat. 2. In the UK in 2015, the debates have been game-changers for parties who may have been perceived to be on the margins, as the platform has raised their profile significantly. SNP and Plaid Cymru have been key beneficiaries in 2015. 3. If we take lessons from professional public speaking, research suggests that the audience will be captured by the delivery more than the content. According to social psychologist Albert Mehrabian, words only count for 7% of overall message delivery. 4. Yougov data from 2010 suggested that televised debates effectively reached out to voters between 18 and 24 years old. It also had particular impact in engaging first time voters. 6. Analysis of the televised election debates should not just focus on viewing figures alone as that ignores the after burn effect of continuing comment on social media. Over a third of those aged 18-24 said their vote would be influenced by something they read on social media. 8. Outside of the 18-24 year old age group, social media ranked fairly low in its potential to impact the election. In a recent study, a leaders debate was mentioned by 40 per cent of people as an influence while 20 per cent cited newspapers. Only 13 per cent of the population at large mentioned social media. 9. A post televised debate may lead to a bounce in the polls, but this is difficult to sustain in the run up to polling day. 10. Televised debates, while part of how the game is played, are rarely what decide the game itself. 2. Talking about the humanitarian disaster in terms of migrants attempting to reach European shores places the blame on the victims rather than the criminals driving the human trafficking trade. 3. If we create power vacuums in countries we need to expect people will flee their homes in desparation in search of safety or tempted by the promise of a better life. It underlines the importance of the transition and transformation of war economies. 4. Making the dangergerous and often deadly crossing is an option considered by the most desparate. Since the beginning of the year at least 900 have died trying to reach Europe. 6. The United Nations Global Initiative to Fight Human Trafficking is based on a simple principle: human trafficking is a crime of such magnitude and atrocity that it cannot be dealt with successfully by any government alone. This global problem requires a global, multi-stakeholder strategy that builds on national efforts throughout the world. 7. Human trafficking is a lucrative business. A conservative estimate of the crime puts the number of victims at any one time at 2.5 million. We also know that it affects every region of the world and generates tens of billions of dollars in profits for criminals each year. 8. There are relatively few convictions of traffickers in proportion to the number of victims. 9. Last year, British policy was made clear by the new Foreign Office minister, Lady Anelay: “We do not support planned search and rescue operations in the Mediterranean.” She said the government believed there was “an unintended ‘pull factor’, encouraging more migrants to attempt the dangerous sea crossing and thereby leading to more tragic and unnecessary deaths”. 10. The ongoing crisis in the Mediterranean is likely to represent human trafficking and human suggling activities.